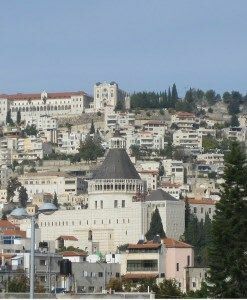 Enjoy the sweet taste and light of Nazareth ! 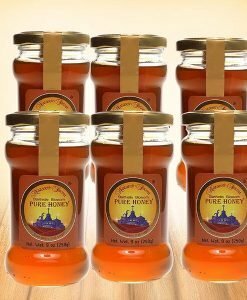 Nazareth Secret pure Honey is produced in limited quantities and harvested by beekeepers in the best traditions of the region. Its quality stands consummate. 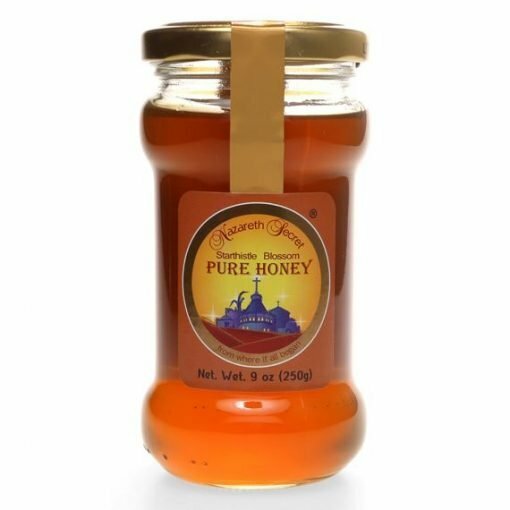 Just one taste of this Nazareth Secret Honey will make you feel superb. 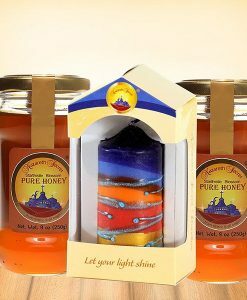 Light up your abode with Nazareth handmade Pillar candle. 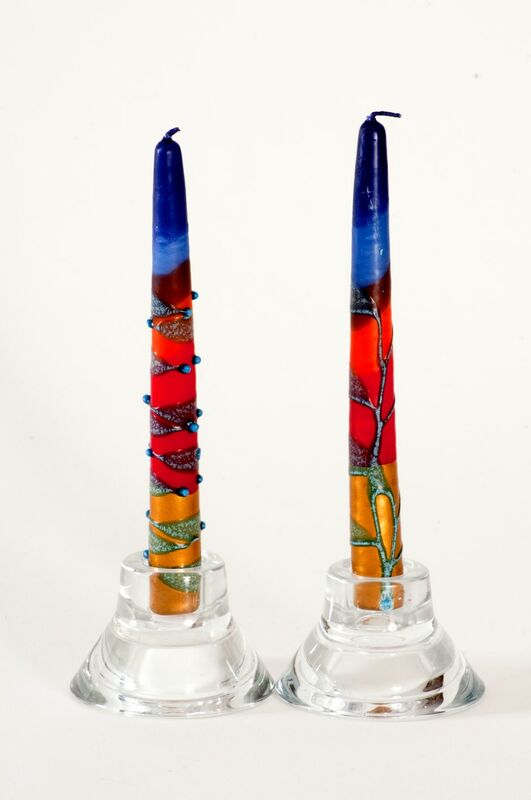 These beautiful candles are crafted by skilled craftsmen in the Galilee Mountains near the city of Nazareth in Israel to warm up the ambience of your dwelling. 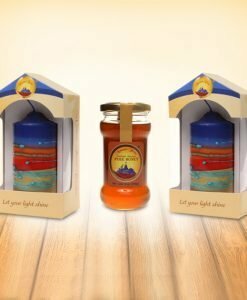 These specially designed candles are unique in colors and quality and represent our rich tradition in every aspect. 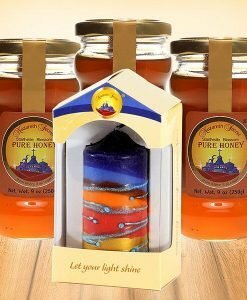 Enjoy the perfect Rosh Hashana Gift of Nazareth Honey with handmade candles. 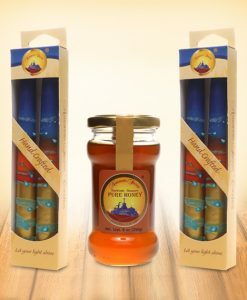 Nazareth honey produced in limited quantities from the nectar of the Starthistle, a flower native to the Nazareth Mountains. Our colorful hand crafted candles are made by skilled craftsmen in the Galilee mountains near the city of Nazareth, Israel. 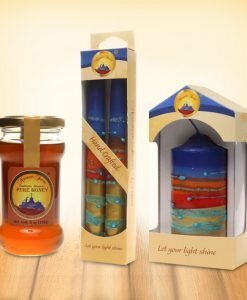 Nazareth Secret Candles are dipped in traditional way with unique colors and high quality.